I love this sign. 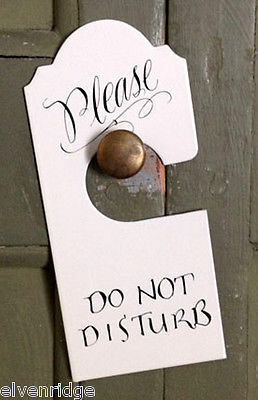 Perfect for those moments when and where you don't want interruptions. Signs can always make a difference. This makes a really fun and appropriate wedding shower gift!!! Plaque is shiny enamel over sturdy long lasting metal, and is ready to hang on a door knob.. Measures 3 inches wide and is 6.5 inches tall.